> Please scroll to the bottom of this page for overnight hotel room information, links, and special rates. Our fund raising seminars and conferences provide you with the education, training and competitive edge to succeed in nonprofit development and advancement. 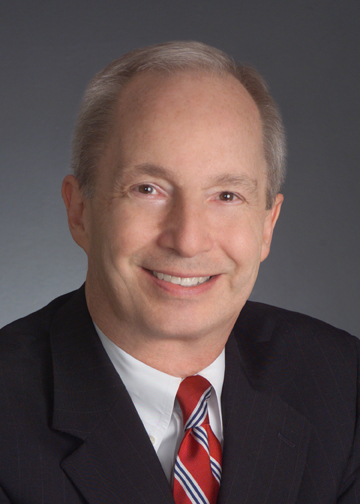 Calder Sinclair is an attorney, President of Sinclair, Townes & Company, and the former Director of the Estate Planning Program for Emory University. He is the former national president of the Omicron Delta Kappa Foundation and a member of the State Bar of Georgia and The Florida Bar. • Who are the best planned giving suspects and prospects? Overview of Fund Raising: Covers key factors necessary for fund raising success -- a strong Board, a strong case for support, and more. Annual Giving: Covers the essential elements of raising money for operations year-in and year-out. Without a strong annual giving foundation, larger gifts will be difficult to secure. Major Gifts and Capital Campaigns: Learn the 5 R’s for maximizing major gifts and capital campaigns. Review all the prep work that should be done before the first dollar is raised! Planned Giving: Covers tax-wise ways for donors to make current and deferred gifts. Emphasizes the marketing of Wills and bequests, charitable gift annuities, and charitable remainder trusts. Volunteer Development: Learn how to become more effective in working with Board members and other volunteers. Covers the most effective “how to ask” techniques. Development Office Management: Reviews the standard duties and functions of am effective development office. The Role of Board & Staff: Who does what in fund raising? Covers the typical division of responsibilities between and among board members and staff. • What about board involvement? Is the Board ready? • What is a campaign feasibility study? Why do you need one? • Do you need campaign counsel? How do you find the right consultant? • What is a case statement? • What publications will you need? • Are you prepared to handle the gifts? After this one-day seminar, you will better understand if your institution or organization is ready for a capital campaign and the steps necessary to make your efforts successful. Locations and Hotel Arrangements - You are responsible for any overnight hotel rooms. We recommend making your hotel reservations as soon as possible to help insure you receive the best possible rate. 2019 locations and hotel arrangements to be announced.